Then there's the back of the device. In previous leaks, we've seen the "with Google" branding along the backside of the N4, which has been replaced by "nexus" here. A closer look here reveals the more artifacting surrounding the logo, along with text that just doesn't seem to quite fit in with the rest of the image. As you can see, this one has a completely different status bar, and it looks more legit than the first image. 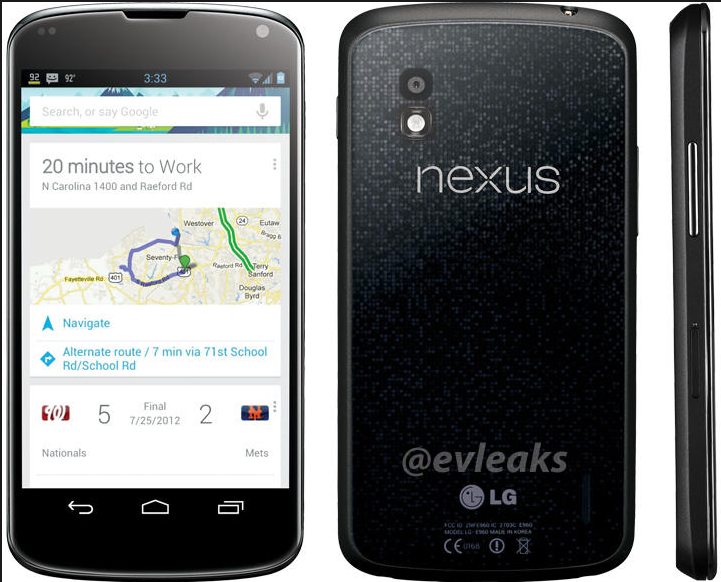 It's probably safe to say that the device shell is a finalized official render, so, for all intents and purposes, this is what the Nexus 4 looks like. The screenshot, however, doesn't quite match up - the angles are all wrong. Looks like someone's just throwing weird screenshots into the mix for.. fun? Who knows. 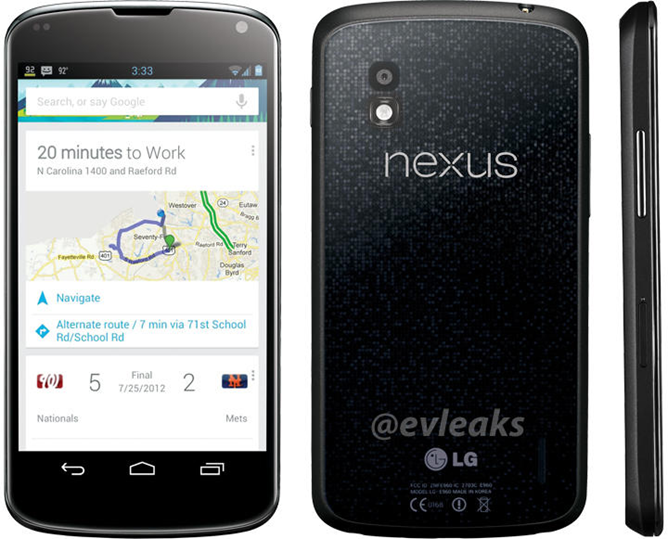 At this point, we've seen enough leaks to basically know what the Nexus 4 is going to look like. When we find out on Monday, I have little doubt that we'll see something very similar to this image - I'm just not convinced that this is the one we'll see.